Size of this preview: 559 × 599 pixels. Other resolutions: 224 × 240 pixels | 600 × 643 pixels. Photo of Kathy Galvin by Brian Wheeler, Charlottesville Tomorrow. 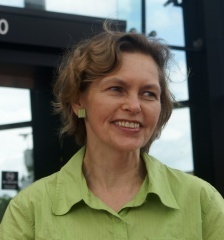 current 20:36, 18 May 2011 600 × 643 (93 KB) 1099047208 (talk | contribs) Photo of Kathy Galvin by Brian Wheeler, Charlottesville Tomorrow. This page was last edited on 18 May 2011, at 20:36.